Roughly 110 of the troops being pulled back from California’s border with Mexico will be reassigned to help prepare for the upcoming fire season in California. 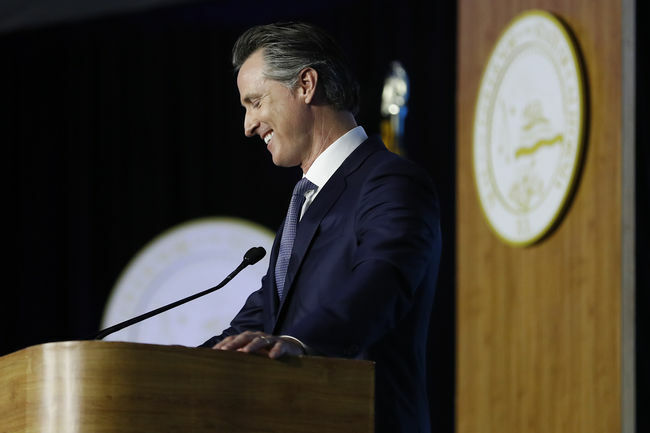 California Governor Gavin Newsom plans to withdraw nearly 400 of the state’s National Guard troops from its mission along the U.S. border with Mexico and assign them to other duties like wildfire prevention, according to reports.Around 100 of the 360 troops currently deployed to the border will remain there under an agreement the state has with the federal government that focuses specifically on transnational crimes, like drug and gun smuggling. They’ll be tasked with providing intelligence about crime as well as provide assistance with cargo dock operations and searches of commercial trucks that cross the border. New Mexico Gov. Michelle Lujan Grisham announced last week her state would be pulling back her state’s national guard from the border. “New Mexico will not take part in the president’s charade of border fear-mongering by misusing our diligent National Guard troops,” Gov. Michelle Lujan Grisham said in a statement.